Take this with a grain of salt since the Nokia N9 prototype is supposedly having an Intel Atom chipset inside, whereas Windows Phone 7 runs on an ARM-based Snapdragon chipset. An "inside tipster" is reporting that Nokia's Stephen Elop was watching the Nokia N9 constantly crashing while running the latest MeeGo build on it, whereas when Nokia loaded Windows Phone 7 it performed much more fluid, and that was the straw that broke the camel's back for the soon-to-be-announced partnership with Microsoft. Stephen Elop talked shop about the future of Nokia recently, and at the time he said they were considering three options - staying the course with MeeGo, adopting Android, or partnering with Microsoft for Windows Phone 7. MeeGo is nowhere near ready, as Nokia's CEO mentioned in his now famous "burning platform" memo to Nokia's employees. Google's Android is seemingly also out of the question considering Vic Gundotra's tweet that "two turkeys don't make an eagle" yesterday, referring to Nokia's announcement tomorrow. That leaves Microsoft and Nokia going buddy-buddies to fight the big bad green robot, and the WP7 demo on the Nokia N9 might have been the one that tipped the scale, if the story is to be believed. That doesn't mean that Nokia N9 will ship with Windows Phone 7, of course, just that Nokia is inclined to produce phones with the platform in the future. Another juicy tidbit has been spilled by the Nokia insider, who claimed that both Nokia and Microsoft are unprepared about the next version of Android, after 3.0 Honeycomb, codenamed 3.1 Jello, or whatever the numbering might end up being. It is supposed to be a major Android overhaul, designed to better Android tablets, and be announced after the iPad 2 introduction. This part sounds rather sketchy to us, like someone is just throwing info out there to see if it sticks, but we ought to share every piece of the puzzle that might make sense. For all we know, there is no word about ditching Symbian, and Nokia has to support billions of Symbian devices in circulation anyway, so maybe WP7 will just only replace it in Nokia's smartphones. 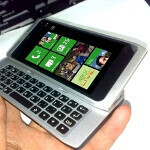 No word about any tablet plans, although MeeGo might have a fighting chance in a Nokia slate. How canyou say that ? You don't even what meego is ..!! ! it's backed by linux foundation it's 100% linux... go get some knowledege first then omit scraps >>!! The original N9 was according to reasonably reliable sources an 800 MHz ARM device. The OS was Harmattan, which is basically Maemo 6, not MeeGo. It was intended as a stop gap before the real MeeGo devices would launch. It was most likely canceled because it was not ready for the original December 2010 launch and launching an interim device with different OS for just a few months before the real MeeGo phones would not have made much sense. The WP7 story seems very unlikely in the way it is reported above, although technically the device might have been able to run WP7. By the way, I don't think there are literally billions of Symbian devices. The number of Symbian devices still in active use (so called installed base) is probably less than 300 millions and might even be less than 200 millions, because most devices shipped before 2009 are probably not used any more; of course it's still much more than any other smartphone OS. there are litterally billions.. lol. symbian has a near 100% lockdown in africa and much of asia, which is billions of people. Most people there don't use smartphones at all at the moment. The Nokia feature phones OS is the S40, which has literally nothing to do with Symbian. It's a simple single tasking (well, you can play music in the background) OS and as far as I know it shares no common code with Symbian. However, S40 6th Edition phones have a UI that looks quite similar to S60 3rd Edition on Symbian. But of course Samsung, LG, ZTE, Huawei and others make feature phones for those markets, so Nokia does not have a near 100% lockdown anywhere. android is a cheap copy-paste of iOS?? LOL. thats funny concidering android had copy paste years before iOS. :) So.. what feature does iOS have that android doesnt (we can all name quite a few that Android has over iOS) that make it a "cheap copy". Well, this is only good news for microsoft as it will greatly increase their WP7 sales. Once they start adding the missing features into Wp7 and the market expands a bit, they are gonna really heat things up. I don't think he ever said that iOS is a cheap copy of Adroid. Rather he just replied to the above poster's statement of Android being a cheap copy of iOS. And considering I have a Windows Mobile 6.5 device, a Palm Device, a Blackberry, and an Android... I would say the most business savvy device is my Blackberry. The Palm is neat and very smooth to operate. The Android is the most capable, and fun packed. But I absolutely love my Windows Mobile 6.5. Yes it may not be that fast, but I am patient - and you'd be surprised of how fast it is if you know how to care for it. My Windows device has the best of both worlds, great games, great media support and computer integration, all the important apps (and no cluttered Marketplace), nice organization! My next device is surely to be a WIndows Phone, and news of a Nokia branded WP7 run phone excites me! Nokia makes wonderful phones. I'm still calling BS on the WP7 thing. If they do we wont be seeing any hardware for another year at least. I think they are just going announce tighter integration to Microsoft services in Symbian. The articles all say that this will not be a sudden thing, so need to call BS on anything. I have no problems when Nokia will be using either android or wp7. But if they are using wp 7, there should be games like halo or gears of mother@#$@ war :P.
Dont count out Meego, Maemo 5 is exceptional on my N900. Anytime the Linux Foundation is involved with a project it doesnt fail to impress.